Q. Can I request an article held in print? Yes. 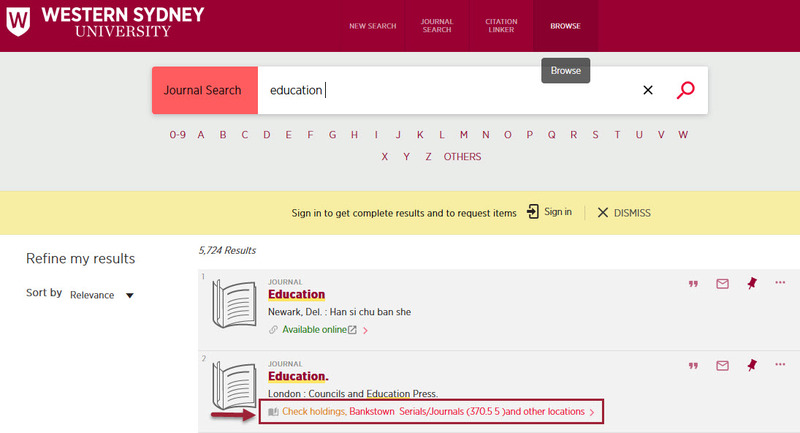 To request an article from another campus library, check that the journal issue is available by using the Advanced Search. The complete citation should include the journal title, volume/issue number, year of publication, article title, author and the page numbers if available. The article will be sent to your university email. Please allow up to two working days for your request to be processed.